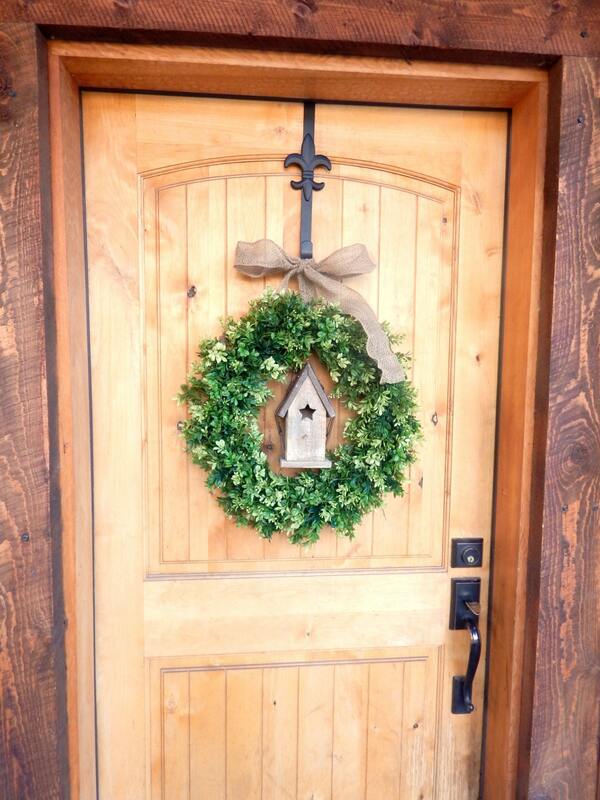 A Beautiful Birdhouse Boxwood Wreath!! 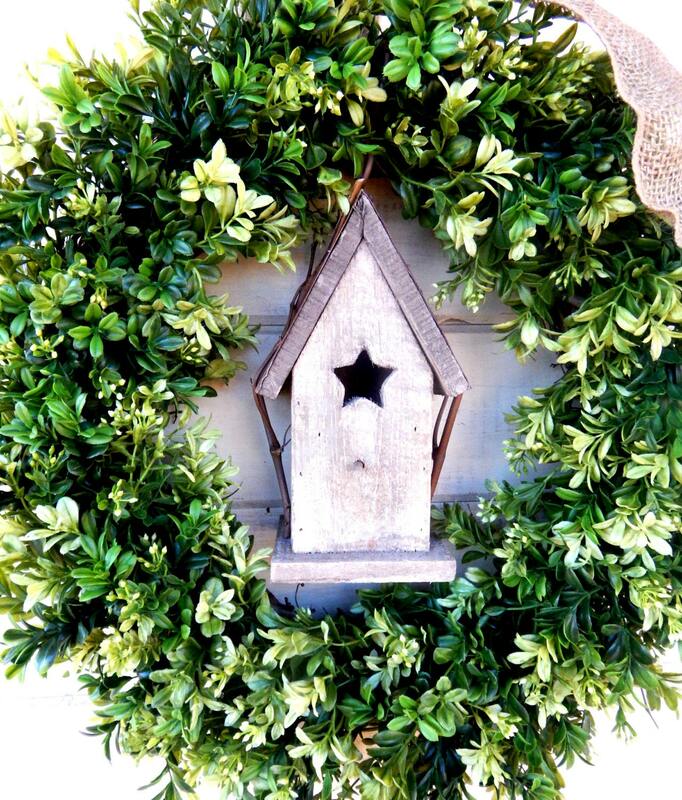 This Scented Artificial Boxwood Wreath can be used all year long.....It has a cute wooden birdhouse hanging in the middle!! **PLEASE NOTE***Custom Made....will ship 7-10 business days after payment received. I sell refreshener sprays on my etsy site. The oils are X-treme Grade High Quality Fragrances. (100% undiluted 100% uncut) The same oils used in candles, soaps, bath salts and potpourri. 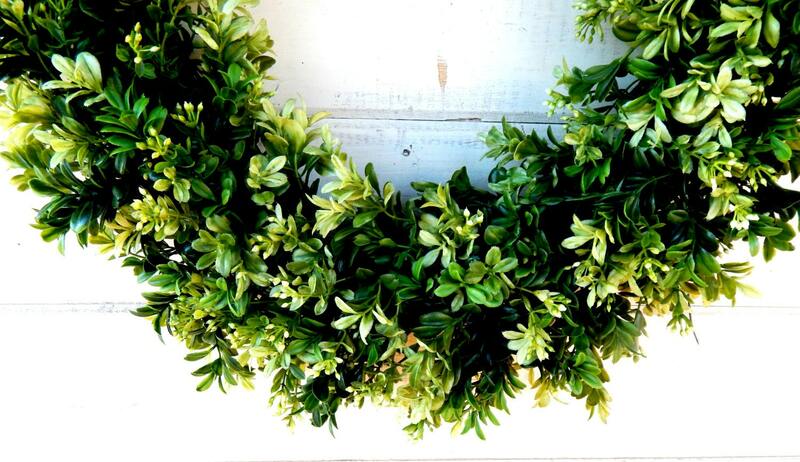 Hang this wreath and enjoy its beauty and sweet aroma. 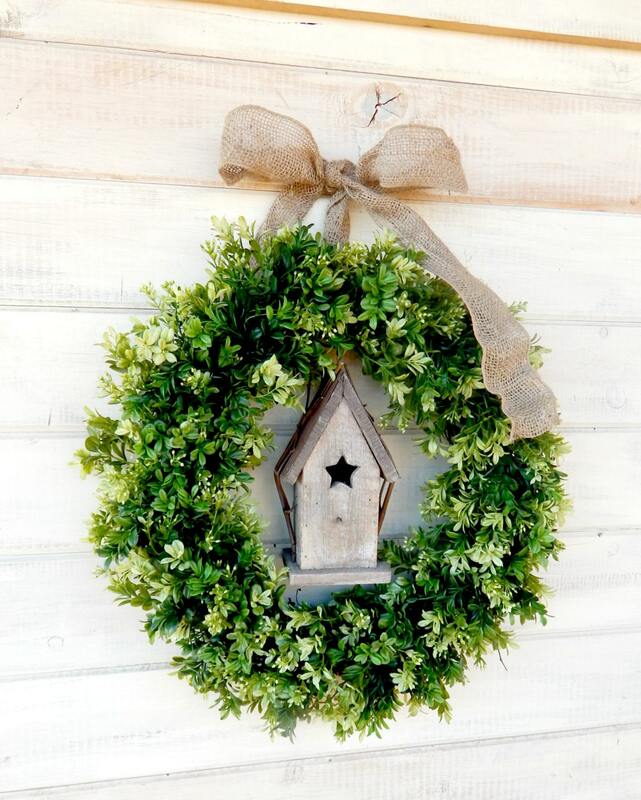 ATTENTION: I spray each wreath with Protective Clear Finish, but please be aware that wreaths placed outdoors may weather or deteriorate over time from exposure to elements. 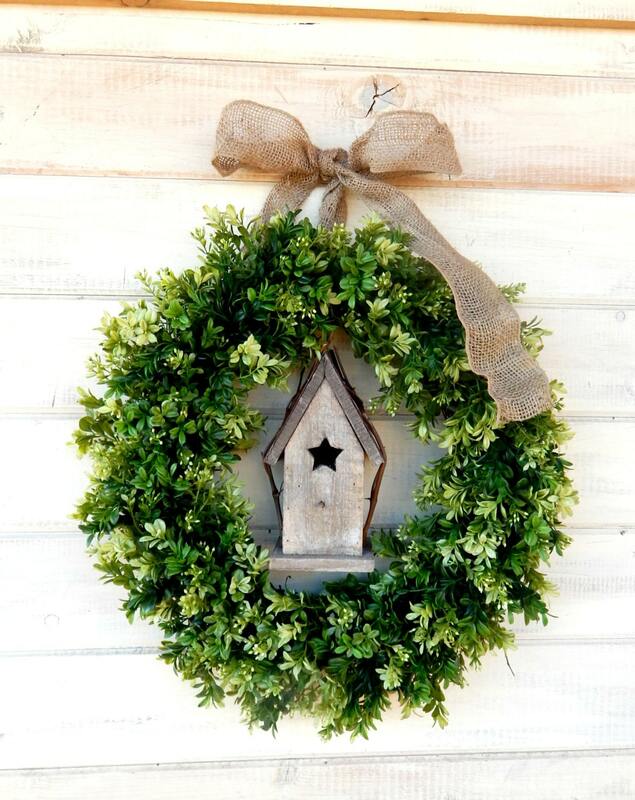 It is suggested to hang your wreath under a covered porch away from moisture and direct sun to extend the life of your WildRidge Wreath.